Looking for some awesome super bowl recipes , cool ideas for party snacks, plus some easy decor for the big game? Since this year is Super bowl 50, make a party everyone will remember. If your snacks are the same every year, why not try making some fun treats this year? When you have a lot of friends coming over for such a fun celebration, we think you should have fun with your food and party decor, too! 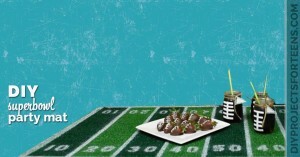 From football strawberries to football sliders to fun colorful banners, these creative but easy super bowl snacks will help have the best super bowl party. These super bowl recipes can be made ahead, too, so you will be in front of the TV watching the game instead of cooking in the kitchen. If you want a great celebration follow these steps, and have a SUPER party! 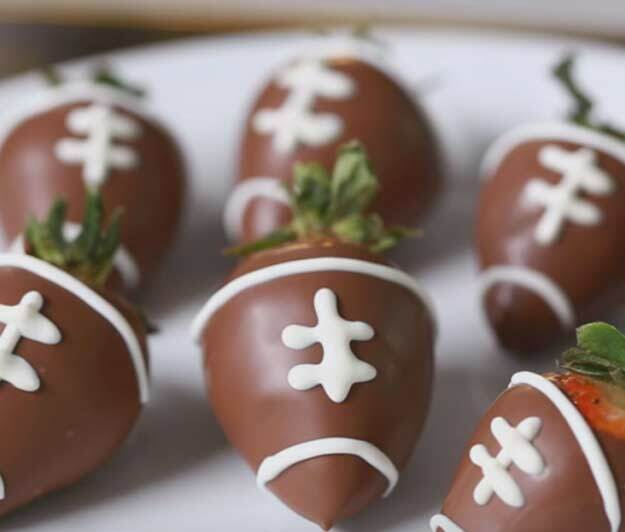 Make fun super bowl treats like these chocolate covered football strawberries. 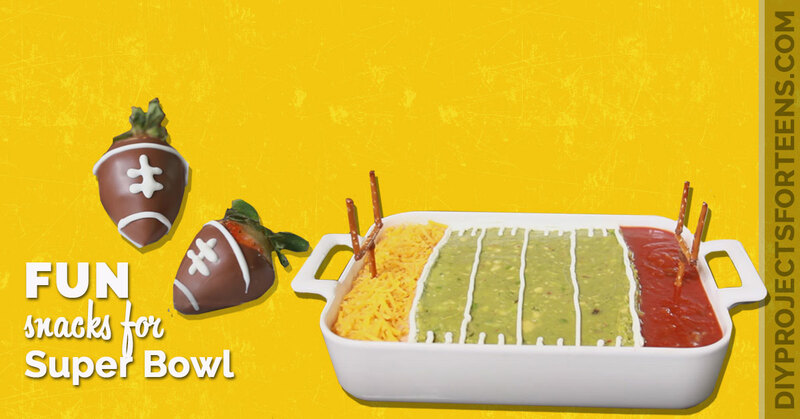 Or this super cool football field layered dip with pretzel goal posts. 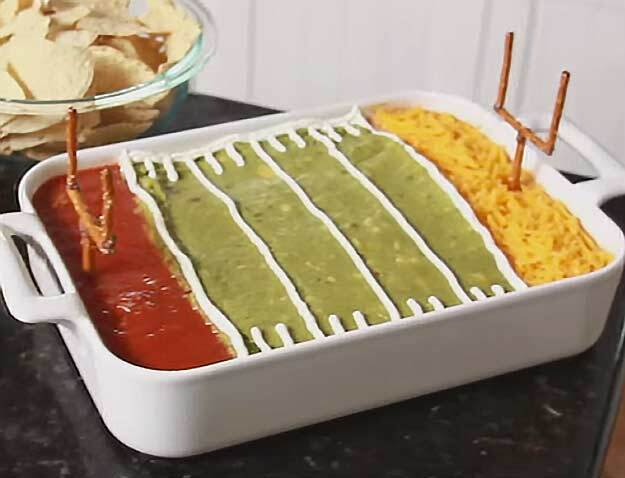 Easy to make and so much cooler looking than regular 7 layered dip, this fun and delicious appetizer idea will make your Super Bowl party super awesome. How To Make Superbowl Snacks and Fun Decor – Watch! 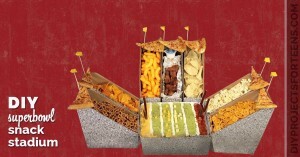 Love these Superbowl Party Ideas?